Synopsis: Will Proudfoot is growing up in a very strict christian society. He isn't even allowed to watch documentaries in school. Lee Carter is the troublemaker of the school who makes pirate copies of theatre movies. When their paths cross nothing will be the same. 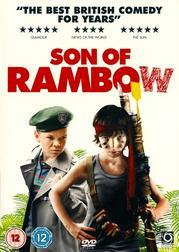 Together they make their own movie where Will is the son of Rambow and Lee plays Colonel Trautman. But their secret comes out and suddenly everybody wants to have a role in it. My Opinion: It's a funny film with funny being not in the "hilarious funny" category but more in the category of "decent humour without forgetting that it wants to tell a story". Even though the actors were children (who did a great job) I had the feeling this movie carried a sentimental tune similar to the one in Be Kind Rewind. I also liked it that the movie had no problem with switching to a more serious tone after the accident when you don't know what has happened to Lee. PS: Thanks to Tom for the recommendation. Jack's wife dies in childbirth and he falls apart, forgetting he has his daughter, Sarah, to look after. The scene where his mum Judi Dench forces Sarah into his life is wonderful. 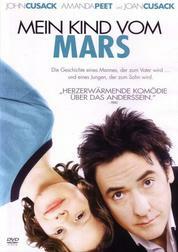 He gets an American nanny to help and the film continues with the adventures of these mismatched people. McKellen is wonderful as the local drunk turning good. My mum adores this film and watches it about once a month! Odd film, also starring a LotR actor (Hobbit, Billy Boyd) in a supporting role , about a man made unemployed who gets it into his head to swim the channel. As you can see, both films have very strong, realistic and downright depressing premises. Young mothers dying and unemployment are hardly the stuff of fantasy. But they are both wonderfully uplifting. 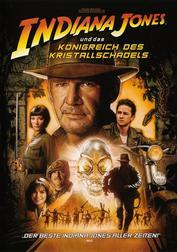 As it just so happened, this movie was aired here a few weeks ago (dubbed of course). It must have been a saturday morning because that besically the only time I still watch real TV. I stumbled across it, was intrigued and watched it. You are right, it's a goood movie. I don't get it? All gays are supposed to be speed walkers, maybe? Ridiculous. 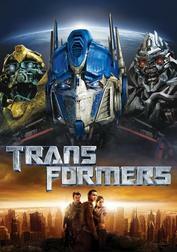 Synopsis: The AllSpark is a mystical cube which can create life from lifelessness. Many eons ago it got lost, but Megatron - leader of the Decepticons - has found it on a planet called Earth. But he crashes here and freezes into a form of stasis in the arctic. But his arrival did not go unnoticed and many years later the Autobots under the lead of Optimus Prime also arrive on Earth. And now the hunt for the AllSpark begins. The question is whether the Humans can help save their own planet or whether they will be a mere annoyance that stand between the Decepticons and the AllSpark. My Opinion: Robots that turn into cars, trucks, helicopters and tanks - need I say more? It's a great fun flick whose sequel is about to start in the theatres. I enjoy such harmless movies where I don't want to think and don't need to think from time to time. The only thing that was a bit annoying was the final fight where one often couldn't make out who's currently fighting who. Synopsis: 20 years have past, the Nazis are gone and Marcus Brody and Henry Jones, Sr. have died. But now there are Russians and they want to discover the secrets that are behind some mysteriously formed yet perfectly carved crystal skulls. And Indy is right in the middle of it. This time the treasure hunt leads to South America, in the Amazon River region and back to the time of the spanish conquistadores. And Indy is not alone. He's accompanied by his friend Professor Oxley, his former companion Marion - and someone he didn't expect. My Opinion: I don't have anything against the chosen subject - this time aliens. I mean, c'mon, we've seen the Ark of the Covenant and even the Holy Grail and they've done miraculous things. So why not aliens. It was a very good movie; still I didn't enjoy it as much as its predecessors. It lacked a bit of the charm of the previous movies and there were too many over the top elements in it. For example Indy's survival of a nuclear explosion in a refrigerator that was blasted through the desert, or their triple fall down a waterfall. My favourite of the series still remains Last Crusade. 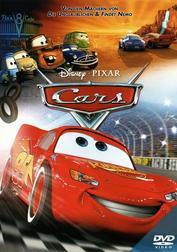 Synopsis: Lightning McQueen is a race car and THE newcomer of the current racing season. But he's also arrogant and egocentric and these treats nearly cost him the Piston Cup championship. But he hasn't won either. His two closest opponents (Chick Hicks and the current champion The King) and he got over the finish line at the same time. The next race will decide who gets the Piston Cup. But McQueen gets lost on his way to California and ends up in a small backwater town called Radiator Springs along the old Route 66. And since he got in trouble with the law he has to repair their old main street before he's allowed to leave. But when he's allowed to leave - does he still want it? My Opinion: As all Pixar movies, this is a great flick. The characters are all excellently drawn (both literally as well as metaphorically) and the story is very charming. I really love the diversity of the supporting characters like the Sarge or Luigi and the references to "our" world such as Sally's tramp stamp on her rear. I also found it quite fascinating that some of the nature shots almost looked real, for example when Lightning and Sally were racing through the forest and the puddles. 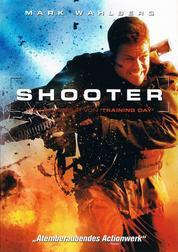 Synopsis: Bob Lee Swagger was an Army Rangers sharpshooter but during a mission in Ethiopia his spotter gets killed and he has to escape without any backup since this mission was an illegal operation. Three years later he has retired and lives in the Rocky Mountains until his government needs his help again. Someone wants to shoot the president from over a mile away and they need his expertise to find the killer. But suddenly Bob Lee finds himself being the suspected killer and is hunted by every law enforcement department the US has to offer. My Opinion: It's a very interesting thriller with nice references to the JFK murder. Mark Wahlberg might not be the best actor but I think he plays roles where his character is of a simple nature (like his role here or in Four Brothers) very well and believable. I also liked how they managed to show many different landscapes in which a sniper has to work in (steppe, a city, forest, snow, ...) without making it unrealistic. Synopsis: Originally his wife and he wanted to adopt a child. But then his wife died and now he's alone. But he still decides to adopt a child and he chooses the child that is "allergic" to sunlight and who is not an Earthling at all but a Martian. Over the next months David tries to bond with Dennis and to get him out of his shell but it's a laborious experience for both of them and everybody who tries to help. My Opinion: This is not really a comedy. It's a story about a guy who learns how to be a father and a child who learns how to be a son (that's the tagline of the movie but it pretty much sums it up). It's a very empathetic movie without cheap jokes and it's great to see when they finally bond. It was a blind buy for me, I didn't really know what to expect but I was pleasantly surprised by the depth of the movie that I didn't expect. Synopsis: Peter works in a software company and he and his colleagues are scanning program code for possible Y2K bugs and change the code to a 4 digits system. But his work doesn't fulfil him, he feels useless and the job is repetitive and tedious. When he seeks counselling he gets hypnotized but never awakes from it because his shrink dies of an heart attack. From now on everything is different. Life is easy, he goes to work when he pleases, he works only on stuff that is actually useful and he even gets promoted for it - while his friends get fired due to "reorganization". But they have a contingency plan - they plan to steal "virtual" money. My Opinion: This movie feels so real and Peter's life before his hypnosis is pretty much the same that I am currently leading, especially the boringness at work. Now I only need to find the diner where Jennifer Aniston is working and I will get hypnotized, too. 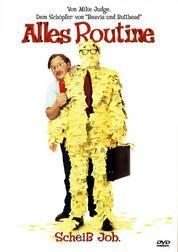 The supporting characters are also very great, especially Milton and his stapler. Synopsis: Alex owes some guys 50 grand due to gambling problems and of course he doesn't have the money. But he's a writer and he promises them a hundred grand in 30 days when his new book is finished - but he hasn't even begun it yet. He needs a stenographer to type 300 pages in 30 days and thus he hires Emma to type while he's dictating his story. My Opinion: Let's face it: Most of the romance movies have the same basic plot. Boy meets girl. Boy either doesn’t like girl or doesn't really care. Eventually they fall in love and sleep together. Then boy makes huge blunder and girl runs away crying. Boy makes huge apology gesture and they live happily ever after. The End. I don't have a problem with that but it means that the story depends heavily on the characters and how the previously mentioned plot points are executed this time. And in that regard Alex & Emma fails. It's like watching a village creek flow for 92 minutes. Nothing extraordinary happens, not even the blunder was a big deal. They even had this basically cool idea to "jump" into the story Alex was writing and Emma interrupts him and demands changes. There was so much potential to use (for example) rewind effects or morphing effects to change to story while telling but they barely made use of such devices. And what's worse: The story Alex was writing was boring as hell. This was a blind buy, of course. Synopsis: Peter Parker is a young high school student when he's bitten by a genetically enhanced spider at a research facility. His DNA is rewritten and he becomes stronger, faster, he can climb walls and shoot spider threads from his wrists. 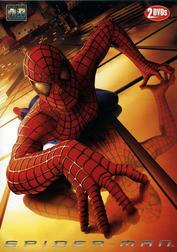 After he has made a terrible mistake that cost his uncle his life he decides to use his new powers to help people: He becomes Spider-Man. But where there's a hero, there's a villain: The Green Goblin.